The goal of DevOps is to shorten the systems development life cycle while also delivering features, fixes, and updates frequently in close alignment with business objectives. The DevOps approach is to include automation and event monitoring at all steps of the software build. DevOps adoption is estimated to be around 81 percent for larger organizations. By the end of the course you will be able to explain and understand important DevOps concepts and best practices. 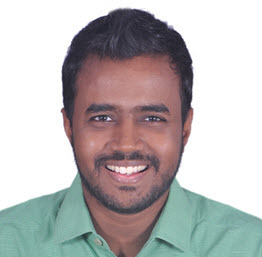 Ravikiran is an independent cloud consultant and author focused on developing solutions in Microsoft Azure. His interests include everything in the cloud space, DevOps and Machine Learning with contributions in domains like Healthcare, Banking and Web Analytics. He is very passionate about the latest and futuristic technologies and constantly updates himself with the current technology trends. He works at the intersection of education and technology. In spare time, he likes going on long road trips with family and friends. Unit 2 How DevOps is Different? Unit 1 Why are Containers used with DevOps?